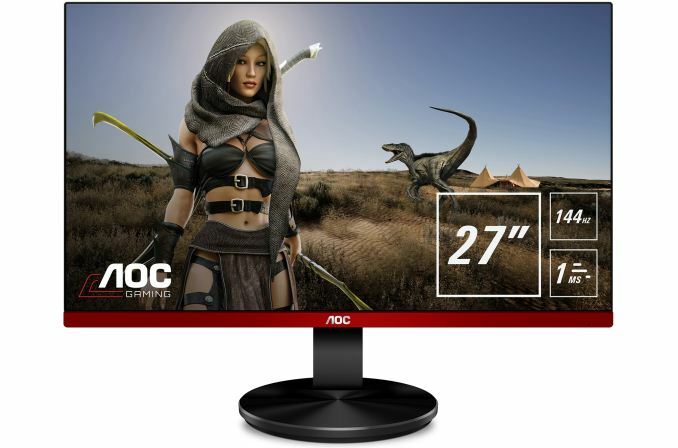 AOC has introduced its new family of entry-level displays that offer a refresh rate up to 144 Hz, a 1 ms response time, and AMD’s FreeSync technology. The G90 monitors do not belong to the premium AGON lineup designed for serious gamers, but they still take some pages from the AGON book when it comes to design and firmware. The AOC G90 family consists of three models: the 24.5-inch G2590VXQ, the 24.5-inch G2590PX, and the 27-inch G2790PX. All three are based on TN panels featuring an FHD resolution, 250-400 nits brightness, 1000:1 contrast ratio, 1 ms GtG response time, and 170°/160° horizontal/vertical viewing angles (which is just what you come to expect from inexpensive TN LCDs). All three monitors share a similar design with rather thin bezels and “gaming red” inlays, but there are some differences when it comes to how the stand adjusts. 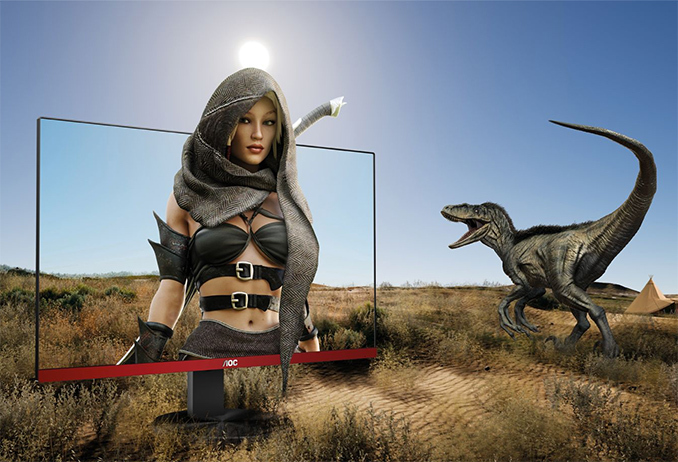 All three support AMD’s FreeSync dynamic refresh rate technology with low framerate compensation (LFC), with a 30-144 Hz range for the G2590PX and G2790PX as well as 30-75 Hz for the cheapest G2590 VXQ. Finally, all three support AOC’s low input lag feature as well as Shadow Control enhancement to make dark scenes brighter. The G90 lineup from AOC is aimed at a wide audience of gamers and support a variety of inputs, including D-Sub, DisplayPort, HDMI (two of these, probably to simplify connection of game consoles) and even MHL for the 24.5” models. The AOC G2790PX is already available from select retailers in Europe for €349/£309; the G2590X, its younger brother, will hit the market in February and will cost €279/£249. The most affordable G2590VXQ will ship next month with a €179/£159 price tag. Pricing of the new AOC G90-series monitors in the USA is to be announced at a later date. In the meantime, AOC’s partners are selling off previous-gen gaming monitors with discounts right now. 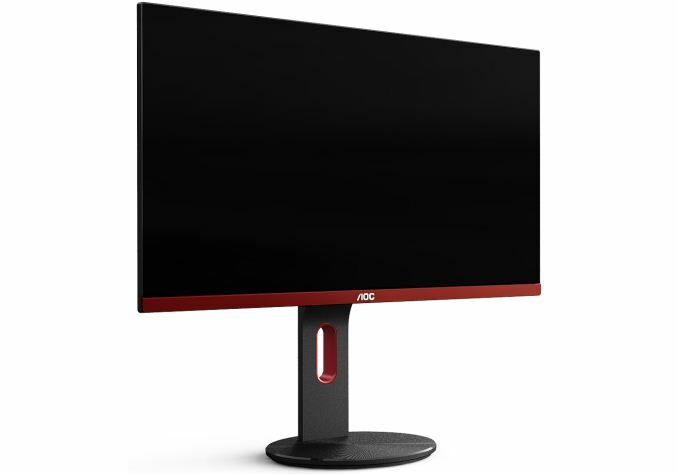 For example, the AOC G2460PF that strongly resembles the G2590PX (24” TN, FHD, 350 nits, 1000:1, 144 Hz, 1 ms GtG, FreeSync, DVI, D-Sub, HDMI, adjustable stand, no Shadow Control) can now be purchased for $205 from Amazon. Yeah, but to be fair the only AMD cards that could actually get you close to that 144 FPS in modern games aren't actually available to buy. 3) Early time to market with low rate initial production. They fail massively at high product volumes because they're so much larger, more expensive, and less power efficient than ASICs. What NVidia needs to do is to work with 1 or more panel controller chip makers and integrate GSync into a conventional ASIC based controller that can be made at prices much closer to what Freesync controllers are selling for.